I had a not-so-fancy Yoga mat that was many years old. When I resumed a regular Yoga practice recently with the Down Dog app(see the review here) at home and at my apartment building gym, it started peeling in several places. 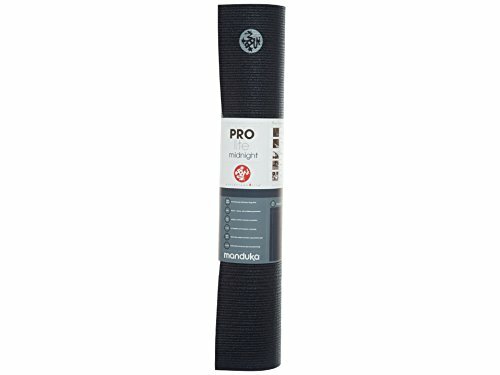 After a lot of research I decided to buy the Manduka PROlite. It has a sticky base that help immensely to keep the mat in place but it picks up a lot of dirt and whatever is there on the floor. And when rolling the mat the way yoga mats are usually folded, all this eek-y stuff from the floor used to come on the surface of the mat. I figured that this must be happening when you roll ANY yoga mat, it was just that with the Manduka PROlite, it was exaggerated and visible. Imagine all the sweat, dust, dirt, food crumbs, floor cleaning chemicals and the like, get on the surface of your Yoga mat- absolutely unhygienic. This is the inspiration behind the post and info graphic- so I am here sharing with you the two solutions I figured out to roll the yoga mat properly- in a hygienic and clean way. So the first idea I used was to fold the mat half way through so the surface of the mat will stay securely in touch only with the surface. Then you can roll your mat from the folded portion. This option leaves a crease bang in the middle of the mat. Then I figured out another idea to avoid the crease- I took a think cotton cloth- cut it a just few mm longer than both the height and width of my mat. Then simply place the cloth (remember to mark the side that you face upwards) on top of the yoga mat and roll away as usual. The cloth will act as a barrier between the base and surface of the mat when rolled. This seemed a more feasible option and you can always wash the cloth every now and then. Hope that you liked the infographic and the ideas. You can leave a comment if you found them useful or have any other ideas to share. 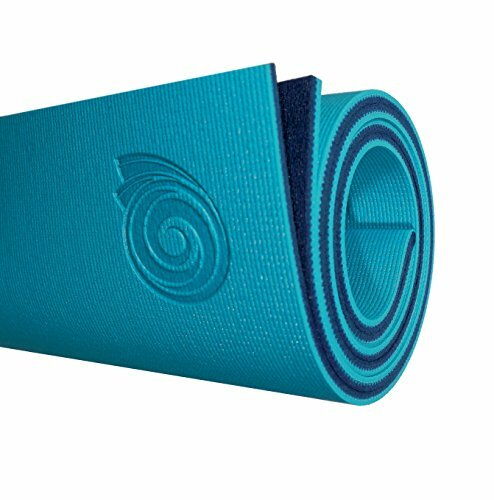 The people from Koru mat got in touch with us to let us know about their launch, being a cleaner alternative to the traditional yoga mat. They are so right that the mats available are not made to be folded, and the only ones that are fold-able are travel mats, which are too thin or fold up like napkins. So they are have come up with a true fold and roll mat. The founder, a mother of three adorable girls, spent years researching and testing various materials and methods to create the most sanitary, durable, and functional mat to fold and roll. The embossed line is slightly off-centered so that once the mat is folded and rolled, the two edges of the mat are aligned. She initially thought it looked like a regular sticky mat, and thought it would be slippery at first. However, she was surprised that she wasn't slipping at all during her practice. She thought it had great traction, and the thickness provided great support on her knees (which are sensitive). After hearing this we cannot wait to get our hands on the Koru Mat! Here is their story of how the Koru mat came to be. It is available for $39.95 on Amazon at the time of this post.